Whether you are relaxing on your own or entertaining friends and family, it doesn't get much better than the luxurious Vita Spa Elegant hot tub from Bay Spas in North Devon. With some 40 Stainless Steel, adjustable water jets powered by two 5hp, dual speed pumps, LED lighting, dual cartridge filtration system, LED up holders and integrated MP3 Music System, the Vita Spa Elegant is the ultimate entertaining hot tub. If you are looking for a hot tub that is best-suited to entertaining, then look no further than the Vita Spa Elegant from Bay Spas Hot Tubs in Devon. 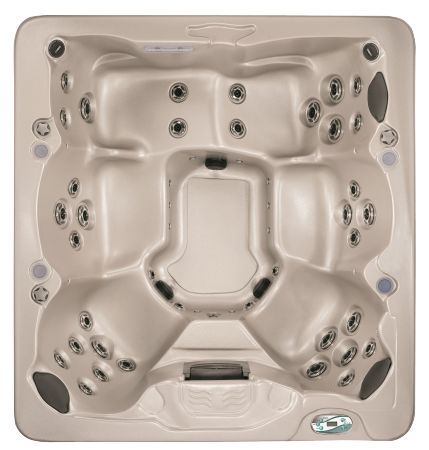 With in-built MP3 Music System with Sub-Woofer, 40 high power Stainless Steel jets and reverse-molded reclining seat positions for five people, this is possibly the best hot tub for entertaining. Relax and enjoy the 1188 litres capacity, massaging water jets powered by two 5hp dual speed pumps and adjustable Air Venturi System.